Synopsis : Unknown to the two girls, Shalu (Preity Zinta) and Nimmi (Mahima Chaudhary)are only half-sisters, as Shalu is the daughter of Saritaji\'s (Rekha), late husband with the woman he had been having an affair with. Hence, Shalu always craved attention from her mother but never got the love she thought she deserved. Dev Khanna (Arjun Rampal) is the sophisticated Harvard return son of industrialist Mr. Khanna (Alok Nath). 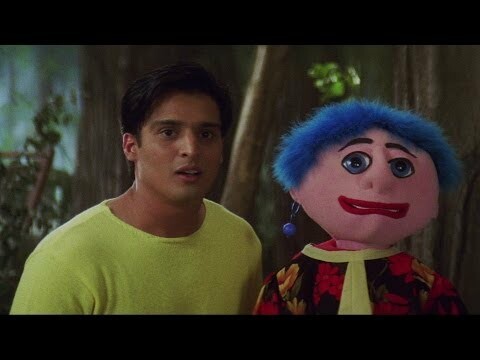 Samir (Jimmy Shergil) is a ventriloquist and childhood friend of Shalu who has never expressed his love to Shalu. Dev falls in love with Shalu while Nimmi falls for him. Shalu learns the secret that has haunted her mother for so long and realized that there is just one way that she can finally win her mother’s love. What decision does she take to get her mother’s love? Will this story have a happy ending?